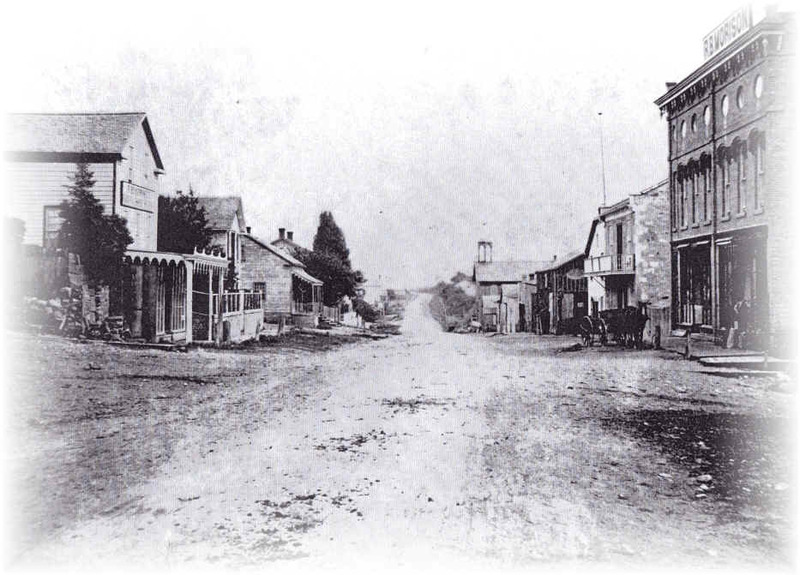 Many of the earliest settlers in Puslinch were from Germany. They tended to settle along the Brock Road, mainly near what became the village of Morriston where German culture prevailed for some years. A Catholic Church was built by Alex Ochs in the village. By 1919 it had been demolished. The Protestant Church was the Evangelische Gemeind (Evangelical Brethren, now the United Church). Other Germans also settled on the Brock Road closer to Guelph. The PHS has extensive files on these German families (available on request) and Chris Bowman's book charts the origins and first two or three Canadian generations in the Township. Marjorie Clark's Our Village of Morriston is the classic study of the village. Betty Woolsey has researched the history of each Morriston building to the extent possible and collected the material in three volumes. Below are the names of all, or almost all, of the German families who lived in Puslinch at one time or another. The Church, under its present name, came into being in 1975. 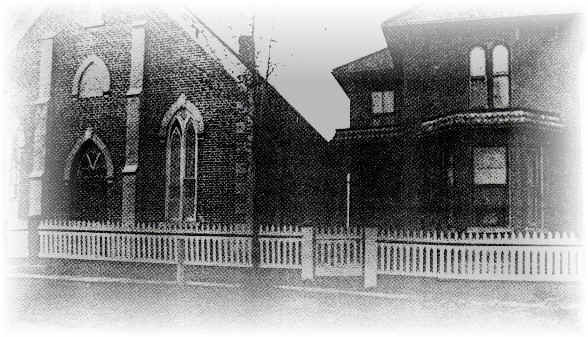 At that time, Mount Carmel United Church in Aberfoyle and Zion United Church in Morriston amalgamated, thus forming Mount Carmel-Zion United Church. The history of the Morriston Church is long and varied, being first known as the Evangelical Association. Later, the name was changed to The Evangelical Church, and when the parent church in the United States united with the United Brethren Church, it was changed once again to The Evangel­ical United Brethren Church. In January, 1968, the Canada Confer­ence of this denomination joined the United Church of Canada and is now part of that family. The work began with the early German settlers who came to this area, bringing with them their Christian traditions. At first they met in their homes, with someone taking the place of the “class leader” and reading a sermon from a book. On May 13, 1840, Joseph Harlacher, a Missionary who had been sent from East Pennsylvania to the Waterloo area, came to visit old friends at the Nicholas Beaver home. Immed­iately word was sent out to the neighbours and that night a “preaching service” was held. That was the beginning, and by October of that year the first well-attend­ed meeting was held in the John Calfas home. On New Year’s Day, 1841, the Sacrament of the Lord’s Supper was observed. A series of revival meetings followed, and we believe that forty-five people were received into the fellowship of the Church of the Evangelical Associa­tion. It was not until 1952 that there was a basement under the church where Sunday School classes and social gatherings could be held. For a number of years, services continued to be held in homes. Finally, a log meeting-house was erected on a quarter acre of land on the Calfas farm. According to the 1851 census, it held 100 people. The log church was on the Brock Road (now the busy No. 6 highway) in the middle of the village block on the west side, where the home of G. Warner now stands. It was later turned into a stable used by the hotel, and has since been demolished. In 1856, a red brick church was built on the present site, the brick from Morriston Brick Yards. The street leading from Brock Road to Victoria Street, where the church stands on the corner, was named Church Street. In 1880, the building was enlarged and generally improved. Up until that time, church suppers were held either in the small vestry or in the Foresters’ Hall at the foot of Church Street, where now stands Historic Park. This meant much carrying of dishes and food up and down the Church Street hill. Under the leadership of the Rev. E.E. Dorsch, the basement project was planned and carried out with the help of many willing volunteers. Burrowing under the church floor was the beginning of the work and meant digging 26,000 cu. feet of earth and passing it out bucketful by bucketful, a gigantic task. On November 16, 1952, the basement was dedicated by Bishop J. Balmer Showers and a memorial plaque un­veiled in memory of John Winer, a former Sunday School Superintendent and prime promoter of the project. The ladies have since been able to cater to their dinners from a conven­ient kitchen, church socials have been held there, the Young People have had a place to meet and many gatherings held in this room. In 1911, a system of acetylene gas lighting was installed in the church. This served until the Hydro came to the community in the 1920’s. However, coal oil lamps were always kept filled and ready in case the gas failed which it frequently did. The present lights are a memorial to J. Howard Winer, a lifetime worker in the congregation. Heating has also improved over the years. The two large box stoves, with long lengths of pipe, and those hungry wood boxes behind them, are a thing of the far past. Next came the oil burners which had a habit of going out. Then came a coal furnace when the basement was put in; this, in turn, was adapted to oil, and then a new oil furnace was installed. The year 1990 saw one more step when this was replaced by a high efficiency gas furnace. In 1960, the memorial windows were installed. In 1980, the final phase of the planned renovations was completed. The vestry and church office were in use, the exterior of the building was painted and the interior insulated, and the brick work was repaired and painted. Also, the sanctuary was painted, carpeting laid in the aisles and chancel, new hymn books put in the pews, all the result of careful planning, dedica­ted service and sacrificial giving on the part of the congregation. It was a day of great rejoicing. Morriston circuit was at one time one of the strongest and most prom­ising in the Conference. It took in, besides Morriston, Ancaster, Water­down, Beverly, Hespeler, Preston and Galt, but by 1880 these other points had been absorbed by the surrounding areas. It is interesting to note that, on April 10, 1862, the 14th Annual Conference in Canada was held in Morriston. Sons from two prominent church families entered the Christian ministry, John C. Morlock and John W.L. Huether. The work was first carried on in the German language, and later the morning service only was in German. It was about 1918 that the services were held in English only. The Morlock family had great musical talent and the choir of Morriston Church sang as guests in nearby churches. Miss Louisa Morlock was the church organist for forty years. Christian education was of prime importance in the early church and a Sunday School was begun almost at once. Since this was conducted in the German language, others from the village who wished to learn this language often attended the “school”. Young Peoples' groups were organ­ized and have been active through­out the years. In 1940, the Centennial of the Morriston Church was celebrated. One of the highlights of this ser­vice was the christening of the twin sons of Mr. and Mrs. David Beaver. These infants were the great-grandsons of Nicholas and Charlotte Beaver in whose home the first service was held.